Henkel offers a complete range of hotmelt adhesives based on different technologies (EVA, APAO, PO, PA, PP) to ensure reliable edge banding processes: Economic hot melts for all common applications High bond strength on various edge band materials High thermal stability (no charring) Suitable for high-efficiency manufacturing Lower cleaning cost thanks to clean running Non-reactive Hotmelts – a new level of processing Non-reactive hotmelts are frequently used for edge banding and profile wrapping, flat lamination, assembly and sealing processes. 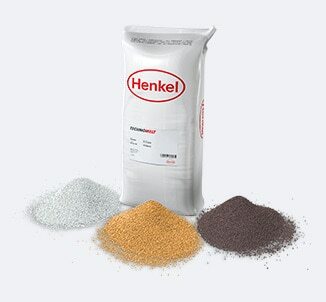 Under the TECHNOMELT brand, Henkel is offering non-reactive hotmelts on EVA (Ethyl Vinyl Acetate), polyolefin (APAO) as well as polyamide (PA) base. In general, these thermoplastic hotmelts differ in terms of their adhesion and heat resistance. The clean processing, coupled with high machine speeds, fast setting and excellent aging behaviour make them first choice for furniture and building components. 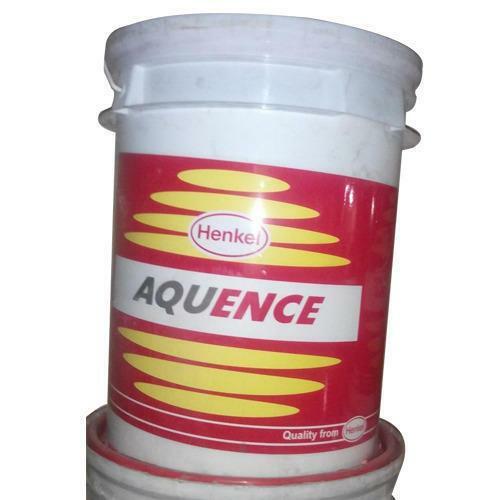 Henkel Adhesive is a two component water based, co-polymer dispersion in water, designed for bonding difficult to bond substrates like PVC / ABS to Cellulosic substrates like wood / MDF / particle board via membrane press machine under heat and vacuum. We recommend using FD4925 with 5% – 8% of our hardener – CAT4926 Key Features: Highly economical Spray-able adhesive in comparison to Solvent based PU. Almost double the coverage of solvent based PU. 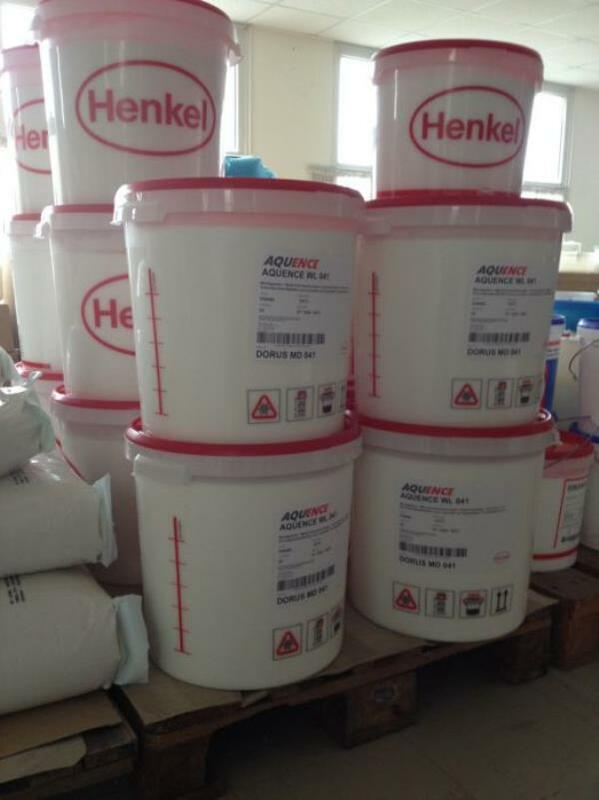 Ultra Low VOC & Spray-able adhesive. Excellent Bonding with PVC membrane in 3D lamination. Excellent water resistance, UV & Heat resistance. 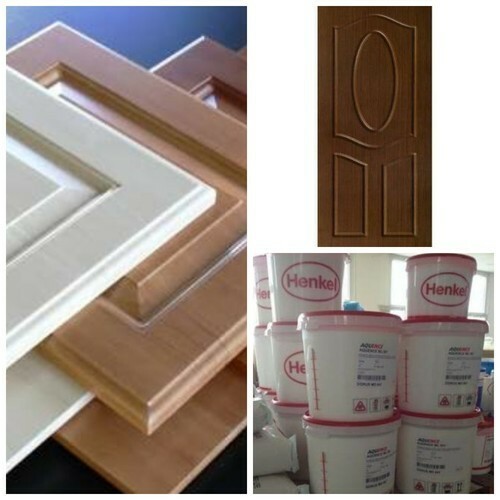 Application: PVC membrane Doors. Laminate doors. 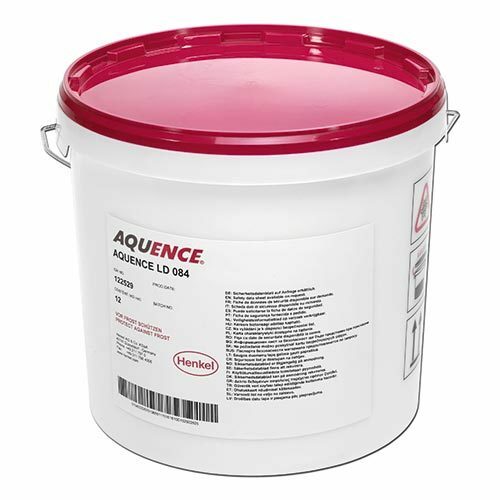 1K part polyurethane adhesive that hardens by humidity or spraying with a fine water mist. The good relationship between open time and press time. 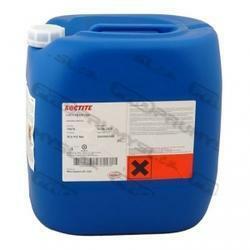 LOCTITE UR 7221 is a solvent-free, moisture curing one component adhesive based on polyurethane. 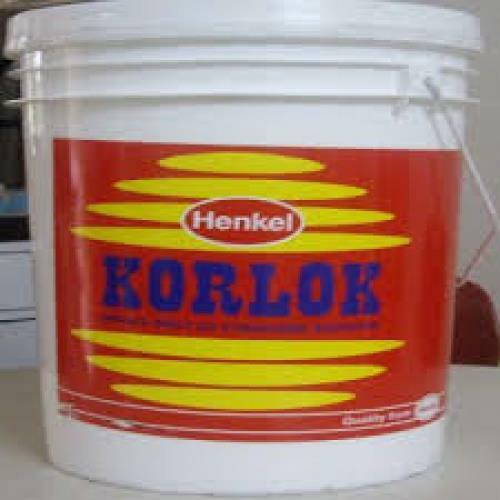 Designed for manufacturing of sandwich elements of porous substrates, which contain humidity. The substrates can be bonded to one another or to metals, laminated panels, various plastics, rigid foam made of polystyrene, polyurethane, PVC and others. At room temperature and the required humidity in the joint sufficient strength will be obtained after approximately 2 to 4 hours. For faster curing LOCTITE UR 7221 can be cured in a heated press. Maximum temperature must not exceed 70°C.